Morgan Sindall offers national construction and infrastructure services to private and public sector customers across a broad range of markets. The company’s prestigious head office building is located in Rugby, was constructed around 1973 and houses around 230 employees. In 2012 the building was refurbished internally but, at the time, the lighting was not upgraded from the original fittings. Internally they comprised of 4ft and 6ft fluorescent tubes, in addition to 2d 4 pin downlight style fittings. Externally they had 6 floodlights in the car park area and in the under croft areas of the car park were small bulkhead fittings. Morgan Sindall decided to upgrade the lighting, looking for an efficient solution. 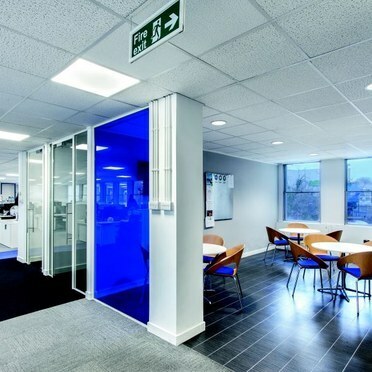 Thorn’s Omega PRO LED 600x600mm fittings were used on a one to one basis for the open office areas, meeting rooms and stairwells. 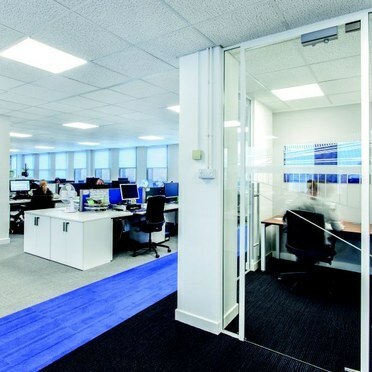 With its slim 12mm profile, the fitting incorporates a UV-stabilised opal acrylic diffuser to retain its clean look.The IP44 rated Omega provides excellent glare control (UGR<19/22) and is easily retrofitted, whilst maintenance is significantly reduced by the 50,000 hours’ life of the 4000K LED lamps supplied with the fitting. Thorn’s Chalice LED, a high performance LED downlight that offers exceptional efficiency with a class-leading efficacy of up to 110 Llm/W, was chosen for the breakout areas. The high performance optic and light mixing chamber provide a uniform appearance which, combined with a unified glare ratio <19, CRI 80 and CRI 90, makes Chalice perfect for high quality lighting applications. The kitchen areas have been illuminated using PopPack LED battens, a one for one replacement for single and twin T8/T5 fluorescent battens. Quick and easy to install, these battens offer up to 67 percent energy reduction when compared to traditional switch start. 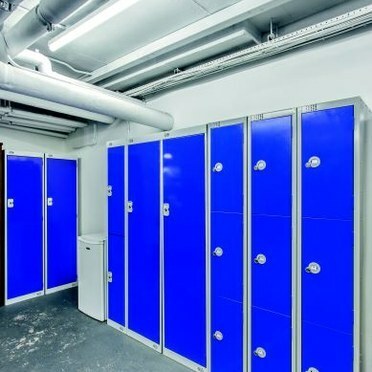 PopPack provides over 110Llm/W and exceeds building regulation requirements. PopPack was also used in the stairwells to compliment the Omega PRO fittings. For the exterior, AreaFlood, a general purpose area floodlight with superior optical performance and control, has been installed in the high level car park to create a brighter, more inviting area. The floodlight incorporates a new generation of reflectors which, when combined with the inclined front glass and integrated visor, deliver precise lighting control. ForceLED, a robust, yet compact IP66 luminaire with a unique prismatic diffuser, has replaced the original inefficient bulkhead fittings and improved the quality of illumination in the car park immensely. 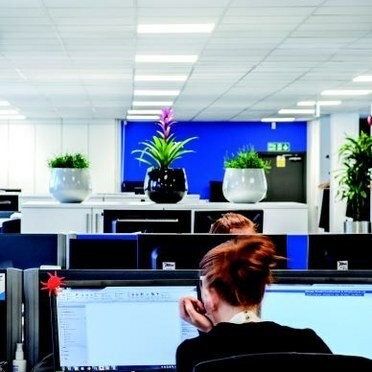 John Watson, Facilities Co-ordinator at Morgan Sindall, commented “Since changing we have noticed an overall improvement in the quality of the lighting throughout the building and to the exterior, making it a brighter, more pleasant work space. Additionally, the switch to Thorns LED luminaires will provide financial savings in terms of energy and maintenance”.